Tweens seem to rule the world these days. They can turn musicians into overnight sensations and average teenagers into international icons. They have a 24/7 lineup of TV shows that celebrate young people’s talent, popularity, and worldliness while bumbling adults revolve around them. They wield smartphones and navigate the ’net with a technological savvy that puts us older folks to shame. Basically, American tweens hold a whole lot of power. But that doesn’t make the tween experience any easier. Anyone will tell you—12 is quite possibly the hardest age of life, caught as one is between the pleasures of childhood and the responsibilities of being an adult. A tween is too big for the kids’ table yet too immature to dine with the adults. A tween is between. 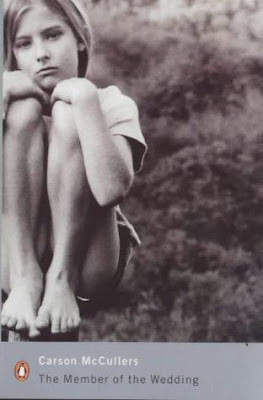 Carson McCullers capitalizes on that tween angst in her 1946 novel, The Member of the Wedding. Though our world has undergone a sea change since the ’40s, the emotional landscape of being a tween has not. McCullers takes us inside the skull of 12-year-old Frankie Addams, where the feelings we find—isolation, boredom, awkwardness, pain, fear—are all too familiar. It doesn’t help that the world around her is in a between state of being. The late August season means summer has come to an end, before fall has really taken hold. Being out of school also leaves Frankie feeling unmoored. And the everpresent shadow of World War II hangs over them all, having divided nations and fractured families and communities whose men have gone overseas to fight. But Frankie’s sense of exclusion comes primarily from her tween condition. Her age puts her between childhood and adulthood, too old to continue carefree play with her 6-year-old cousin, John Henry, but too young to be invited to join the neighborhood club of teenage girls. Her father has recently said she has to move out of his bed at night, yet she still longs to sleep by his side. Searching for somewhere to belong, she changes her name to F. Jasmine, then Frances, and she wanders her small southern town, exploring areas previously forbidden and unknown: the jail, The Blue Moon bar, the black community of Sugartown. It doesn’t require a lot of insight to guess that Frankie’s dream of living happily ever after with them gets dashed. In fact, it’s such a foregone conclusion that McCullers spends very little ink on it. The majority of the novel concentrates instead on the fantasies that Frankie spins in the day or two leading up to the wedding. This is too brief a period for Frankie to reach any true understanding or develop a sense of self, though somehow we know that will come. Most 12-year-olds do emerge from that painful transitional period, with some sort of identity intact. In the end, the tiny window we get into this particular preteen’s world proves both reassuring and unsettling at the same time, because, while things in part resolve, they also remain the same. World War II will end, though new wars rage on around the globe. Civil rights will mend the black-white split of this southern town, while racism remains a strong undercurrent in our country. And McCullers’s Frankie Addams will grow out of her difficult tween stage of life, yet other kids like her still suffer through it every single day. Before last week, most of us had never heard of “conscious uncoupling,” but leave it to Gwyneth Paltrow and Chris Martin to try to make divorce look cool and give this odd term caché. In truth, though the new-age philosophy is a recent development, the practice isn’t. 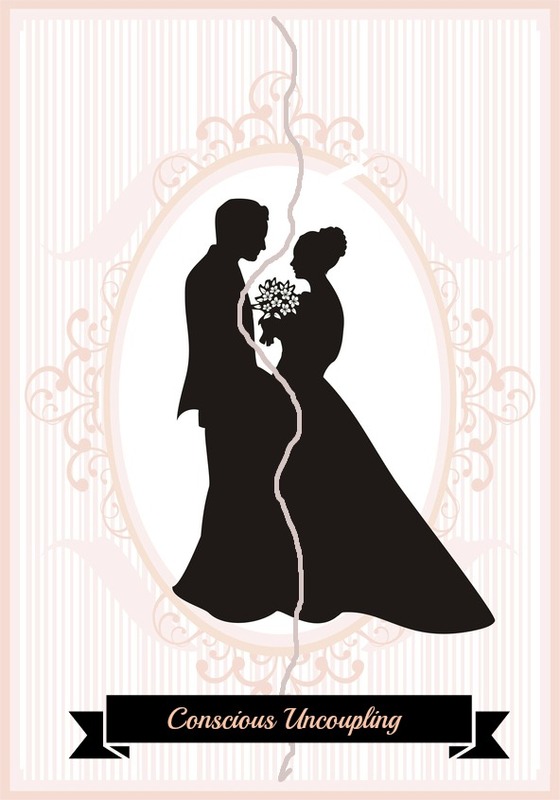 Way back when, before divorce was a viable option, husbands and wives were consciously uncoupling all the time. Now, let’s be real—for women of a certain era, conscious uncoupling didn’t come with all the exciting possibilities open to Gwyneth: more time and freedom to travel, date, go to yoga, and the like. It often meant quite the opposite: exile, difficulty, death. 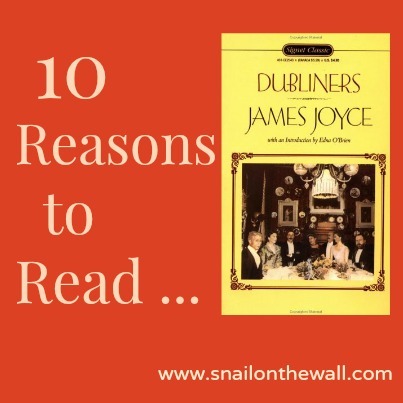 That’s what we find when we watch a few well-known 19th-century literary heroines attempt to consciously uncouple. These characters—though they chalk one up for feminism by refusing to stay in an unsatisfying marriage—put a rather grim face on the whole idea. But they teach us much about reality in the process. 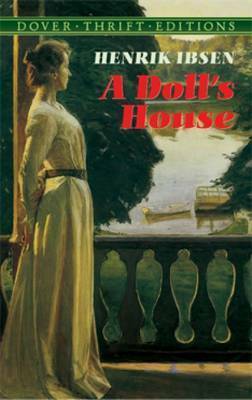 Nora Helmer, A Doll’s House by Henrik Ibsen (1879)—This play ends with one of the most famous marital breakups in all of literature. After the play’s premier in 1879, when Nora first walked out on her husband and children in the closing scene, her exit became known as the door slam heard round the world. The idea of a wife leaving her family so shocked late-19th-century audiences that some production companies had the ending rewritten. But we still read the play today because of Nora’s dramatic decision to walk out the door and let it slam behind her. Once she realizes that she’s nothing but a doll, and that her relationship with her husband has been a sham, she has to leave. Yet, without money, a job, or family to fall back on, will she discover who she really is, or merely experience a rude awakening to the real world? 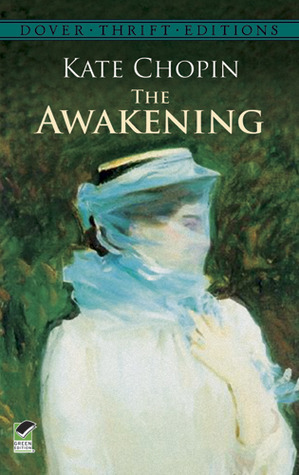 Edna Pontellier, The Awakening by Kate Chopin (1899)—Edna Pontellier breaks it off with her husband by dying, though she begins the conscious uncoupling process some time earlier. She feels somewhat of a square peg, not fitting in with the mother-women around her and unable to connect with her own husband and children. Her death comes at the end of a long, hot Louisiana summer, and it leaves behind a wake of open-ended questions: Does Edna commit suicide, or does she drift off and drown by accident? Is she weak and helpless in death, or strong and independent? Does society consume her, or does she chart her own course and rise above all the conventions that threatened her identity? Kate Chopin doesn’t paint a pretty picture of the options open to married women around the turn of the 20th century, but she does suggest that, when a marriage is unfulfilling and harmful to one’s own sense of self, conscious uncoupling is at least a step in the right direction. 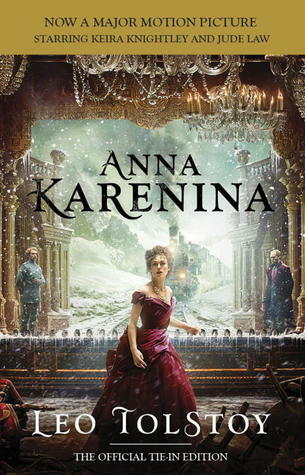 Anna Karenina, Anna Karenina by Leo Tolstoy (1875–77)— Oh, Anna . . . I’m not sure it was ever in her nature to find happiness in a relationship. Her husband, Karenin, finally gets fed up with her extramarital affair and the pregnancy that ensues, and agrees to a bona fide divorce. Yet put off by his generous gesture, Anna refuses him. Away from her husband, she almost achieves happiness with Vronsky, but her negativity ends up poisoning that possibility, too. She squanders a few options not available to the other heroines in this group, but does she really ever have control of her destiny? Even before the book begins, her train seems to have already left the station, so to speak. Hester Prynne, The Scarlet Letter by Nathaniel Hawthorne (1850)—Hester’s conscious uncoupling happens before this novel even begins, but she spends the entire plot paying for it. Because her husband has been missing for two years and is presumed dead, she has an affair with another man. Can you blame her? Apparently, the town can. When she shows up pregnant with no husband/father, she’s forced to don that famous “A” as punishment for her adultery. The men in her life—her husband and her lover—eventually die on her, and Hester is forced to go it alone. Though some readers cast additional stones at Hester for choosing to forever wear the scarlet letter, you can’t argue with the fact that she’s a survivor. 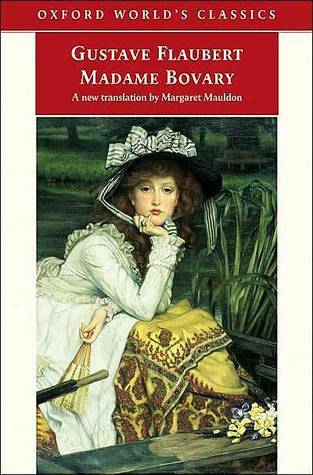 Emma Bovary, Madame Bovary by Gustave Flaubert (1856–57)—The fate of the heroine—unsatisfying marriage, infidelity, and ultimately death—may be growing tiresome by now. But once again, she chooses what appears to her the only method of conscious uncoupling. Like Chopin’s Edna, Emma Bovary chafes against her provincial existence and her conventional marriage. Maybe becoming a serial adulteress isn’t the wisest solution, but her husband—doting, incompetent, and a bit stupid really—indirectly encourages her behavior. Flaubert’s famous quote “Madame Bovary, c’est moi” gets at the heart of the matter: in the same position, we, too, are equally likely to live out the same story line. Uncoupling—conscious or not—isn’t ever going to be easy or pleasant. But sometimes it beats the alternative.